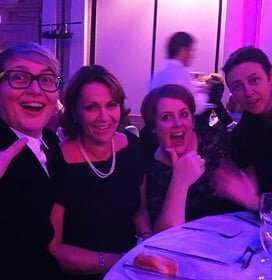 We had a wonderful time at the Natwest Venus Awards for Women in Business. The ceremony was at The Grand Hotel, and was a swish event. As you can see, our table had a really fun night! We didn’t win the award, but it was an honour to have been a finalist. previous post: A love story!